The Tango phenomenon today is a reality for the whole world involving people from all walks of life in three continents: Asia, America and Africa. The author has asked herself the reason for this ‘retrieval’ of the Tango, in particular the dance. Why are people from all over the world going to the ‘milongas’? A question that leads her into an interior journey, an experience of awareness, in search of the essence, the “spirit of Tango that expresses the impulses of a universal soul”, talking about sudden afflictions, an underlying melancholy, of loss and nostalgia but with also an intimate capacity for regeneration. A music that has the power to overcome pain in order to accept the loss, the force to appreciate life in order to push forward in search of adapting to new values, new dimensions. 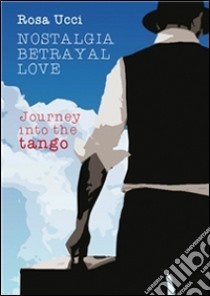 By means of contemporary psychology the author interprets the rites and myths of the Tango, unveiling the emotional process which, developing into an intimate and profound condition, takes us back to the sacredness of an encounter, the physical contact, an embrace, a condition which is today foreign to modern man, crushed by individualism. With the frenetic routine of everyday life, what is there to be discovered through Tango? Something genuine, interior, profound, a moment of peace, an answer, even if only fleeting and mainly unwitting, to the feeling of emptiness. The Tango brings to the surface that profound communication that has today been buried by smothering wounds. In this world of crises, the choosing of Tango by an uprooted humanity without points of reference represents the revenge of the spirit, the struggle of the soul reclaiming what has been torn away. The Tango, with its whole ‘being’, is like an accusation of contemporary history, highlighting the fact that Man should not remain entrapped in a life without meaning, suffocated by the shapeless mass of nothingness.